Canadian Rockies train journeys are not just about where you go, they’re about where you stop. As a Rocky Mountaineer brand ambassador, I’ve had plenty of experience. If you’re thinking of taking this luxury train through the rockies, here are some of the top Rocky Mountaineer destinations in Canada. Disclosure: As a Rocky Mountaineer brand ambassador, I’ve been a guest of the company. All opinions and mountain infatuations are my own. Is there anything like the Canadian Rockies? (Please don’t say the Swiss Alps, they’re totally different. The Alps have more cheese fondue, but the Rocky Mountains have grizzly bears and moose.) 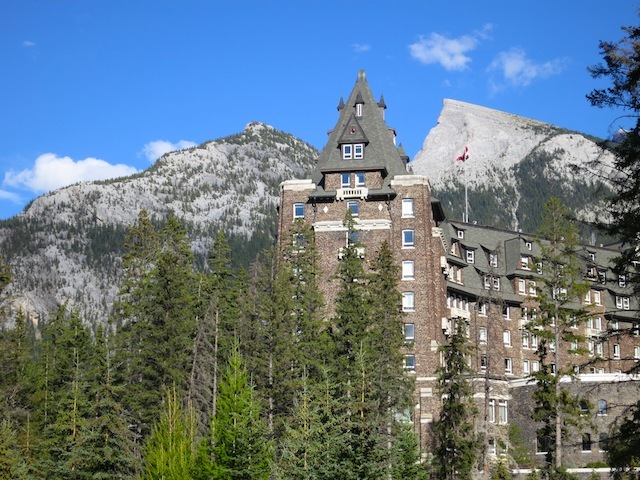 The Canadian Rockies also have a rugged untamed beauty and iconic destinations such as Banff, Jasper and Lake Louise. If that’s not enough of a reason to take a tour of the Canadian Rockies via train, I don’t know what is. 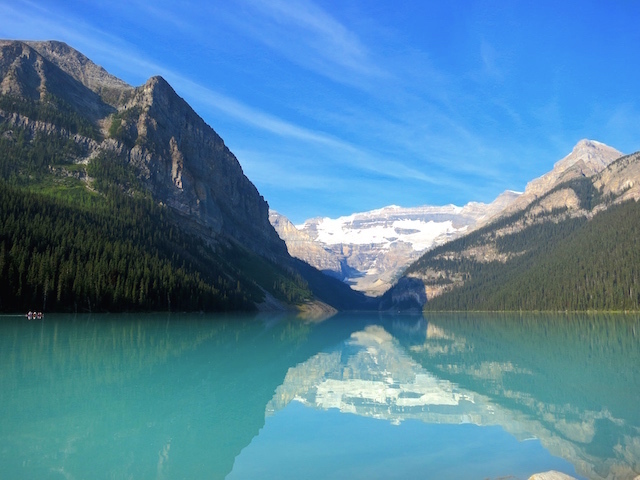 If you’re considering a rail journey on Rocky Mountaineer, a luxury train that combines delectable cuisine with spectacular scenery and comfort, here are some of the top destinations you’ll visit. The small mountain town of Jasper, Alberta, has a laid-back flavour all its own. Despite the tourists, it has a local feel and a rustic charm that makes you want to sit back and nestle in for the summer. And once I saw a black bear in a back alley, who clearly felt at home there, too. It’s that kind of place. The fresh pine air, low hoot of trains passing, grazing elk and snowy peaks of Jasper National Park still give me a rush whenever I sail on in on the train. 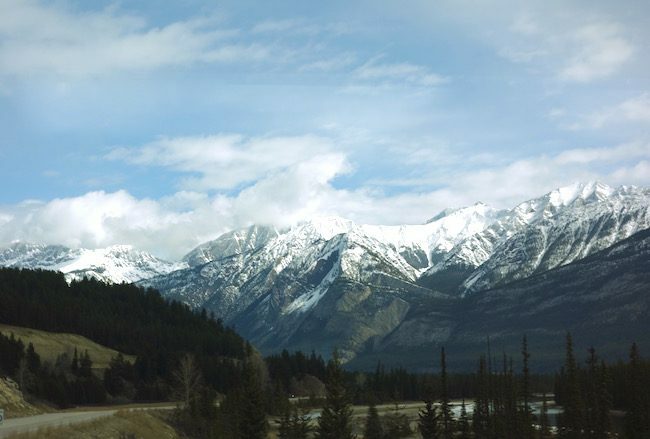 If you’re looking at Canadian Rockies train journeys, Jasper makes an atmospheric stop and is on the Rocky Mountaineer Vancouver to Jasper route. In Jasper townsite there’s a pretty park and a couple of shopping streets with cafes, boutiques and restaurants. Sights in the area include the wonderfully gloomy Mount Edith Cavell (at least it always seems to be glowering when I’m there), the scenic duo of Pyramid and Patricia Lakes and, my personal favourite, the dramatic Maligne Canyon, where water-carved gorges and churning rapids create a gasp-worthy place to hike or stroll. It’s hard to beat the log-cabin luxury of the Fairmont Jasper Park Lodge about eight km (5 miles) outside Jasper townsite, and guests in GoldLeaf Service on Rocky Mountaineer often stay here. Set at the edge of Lac Beauvert, the lodge opened in 1922 and has hosted every visiting celebrity from British royalty to Marilyn Monroe. I’m embarrassed to admit I’ve never done the seven-kilometre hike up to the historic Lake Agnes Tea House, a popular excursion that starts from the trailhead by the Chateau Lake Louise and ends with a stop at the alpine Tea House for fresh baked pie and a cup of tea. But I will someday, because I’ll hike a long way for pie. Another way to sightsee is to take the Lake Louise Gondola up to an awe-inspiring mountain viewpoint of remote peaks, wildflowers and possibly wildlife. Or, keep it simple and take a walk around the lake on the Lake Louise Shoreline Trail. That’s what I usually do. Bonus: It’s easy and flat. Clearly, the Fairmont Chateau Lake Louise is a winner, but the log-built Post Hotel & Spa Lake Louise has a subtle elegance and a restaurant on the Condé Nast Traveler Gold List. I am biased because I love Banff so much. It consistently makes my non-existent annual list of top mountain places to visit, and is one of the best Rocky Mountaineer destinations you can see. 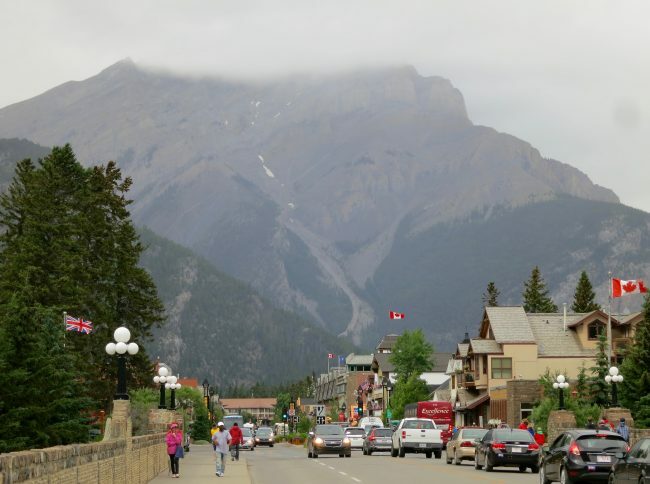 In addition to the steamy Banff Upper Hot Springs, lively Banff Avenue, more fudge shops than you can shake a lollipop at and the rushing water of Bow River, the mountains themselves are what make Banff such an appealing stop on any Canadian Rockies train tour. How can you not love these peaks? Honestly, Banff peaks have so much personality they’re like crusty old characters that hang around town telling stories. Most dramatic is the wedge-shaped Mount Rundle that looks as if someone tried to cut a huge piece of pie only was too greedy to cut straight. 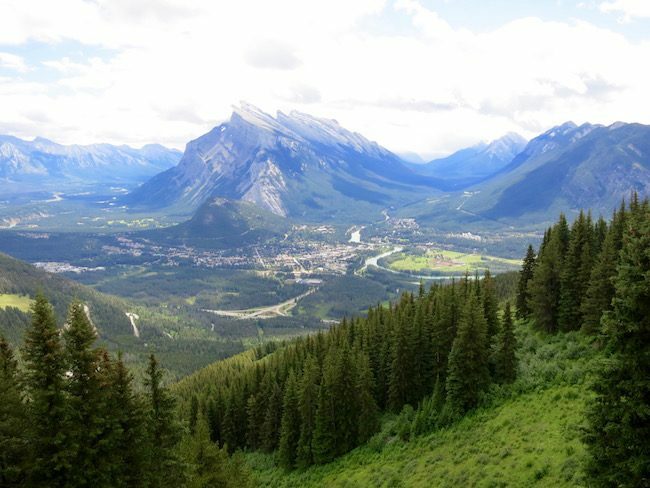 You’ll get a great view of Cascade Mountain from Banff Avenue, and there is no forgetting the much-loved Tunnel Mountain, which takes less than 30 minutes to climb. (Unless you’re me, then it takes longer.) Another highlight is to take the Banff Gondola up Sulphur Mountain for some breathtaking views. Another hotel in Banff of note is the Rimrock Resort Hotel. Right across from the Upper Hot Springs, it has stunning mountain views, a well-regarded restaurant and is a skip away from the Banff Gondola. You’ll probably want to hop on a bus into town, though, as it’s about four kilometres (2.5 miles) from downtown. While overnight stops in Quesnel and Kamloops don’t give you much time to explore, here’s a brief soundbite about them (except with no sound). Kamloops, located in the semi-arid grasslands of the Thompson Okanagan, is where the North and South Thompson Rivers meet. It’s the heart of Rocky Mountaineer’s operations, but all you’ll likely have time to do is stroll through the well-kept riverside park, walk down the main drag of Victoria Street and maybe grab a bite or enjoy a flight of craft beer at the Noble Pig Brewhouse. If you like Gold Rush history, Quesnel has it in spades (gold-digging spades, get it?). Located in the North Cariboo region of BC’s Interior, Quesnel was a key player in the Cariboo Gold Rush of the mid 1800s, and has a long First Nations heritage and fascinating fur trading history. You’ll stay in Quesnel on the Rocky Mountaineer Rainforest to Goldrush route. 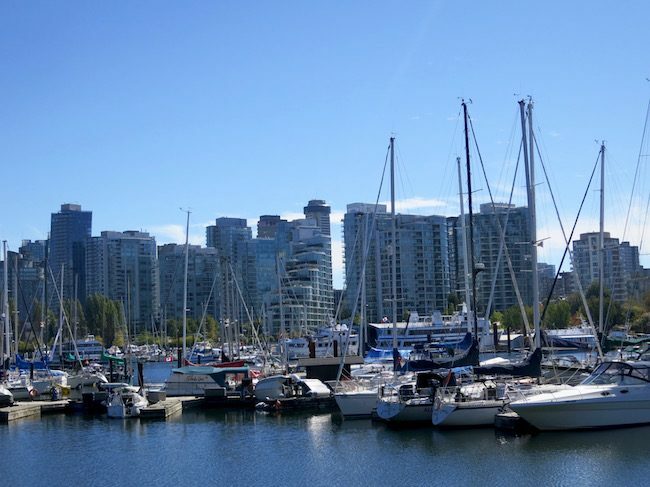 Vancouver is a Canadian city that has it all: urban style, ocean walks, mountain views and so many sporty hearty people you’ll immediately start shopping at Lululemon or Mountain Equipment Co-op. Whatever Rocky Mountaineer rail journey you decide to do, you’ll end up in Vancouver one way or another so make the best of this vibrant coastal hub. My top pick is a trip through Stanley Park, a rainforest park in downtown Vancouver surrounded by Victoria Harbour and English Bay. Grab a gastro meal in historic Gastown (no ‘gas’ pun intended) and, if you have time, the Capilano Suspension Bridge Park is more than a bridge, it’s a trip into the deepest heart of primal Canadian nature. When I’ve travelled with Rocky Mountaineer’s GoldLeaf Service I’ve stayed at both the classy Fairmont Hotel Vancouver (yes, yes, another Fairmont, but the city has three of them right downtown). I’ve also stayed at the Pan Pacific Vancouver. With a prime waterfront location in Canada Place, the Pan Pacific overlooks the Coastal Mountains and has totem poles in the ground floor of the building. So there you have it, some top Rocky Mountaineer destinations. As you can see, a classic rail journey through the Canadian Rockies isn’t just about the destination or the journey, it’s about both. Enjoy! For more information on Canadian Rockies train journeys and destinations visit the Rocky Mountaineer website. Or read my post about Rocky Mountaineer scenic train routes and what you can expect to see. For more travel ideas visit things to do in Canada. Hi Rachel, Choosing a Rocky Mountaineer itinerary depends on so many things. If you’ve never been to the Rockies before, First Passage to the West is a classic. Another option is to do a Journey Through the Clouds with a bus excursion from Banff to Jasper on the Columbia Icefield Parkway as an add on. 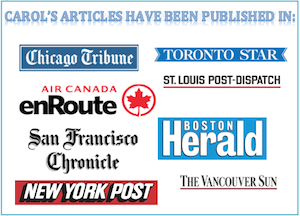 Thank you for your blog posts – they have been most helpful. We’re planning a trip for September. If you had to choose between Journey Through the Clouds or First Passage West, which would you choose as your favorite? Wish I could go, looks fantastic! What an impressive list of gorgeous places to see and beautiful accommodations. I’ve just recently visited Quebec City and seen Fairmont le Chateau de Frontenac. 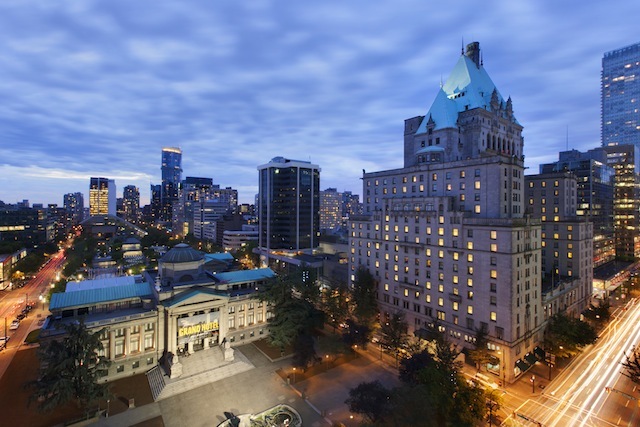 I think I have to agree that Fairmont hotels are pretty spectacular! And taking the train through the mountains of Canada sounds like a dream trip! These rocky train journey destinations are really stunning. But what I would really love is the train journeys and would want it never to end. Being passionate about trains, this is something I would really love. The amazing landscapes are best viewed from the windows of a train. I was reminded of some scenic train journeys that I did in Switzerland looking at your pictures. So first thing first, I never knew there is thing like Canadian Rockies. Natural landscapes remind me of Himalayan rugged terrain – alluring snow-capped peaks, serene lakes and lush green valleys. 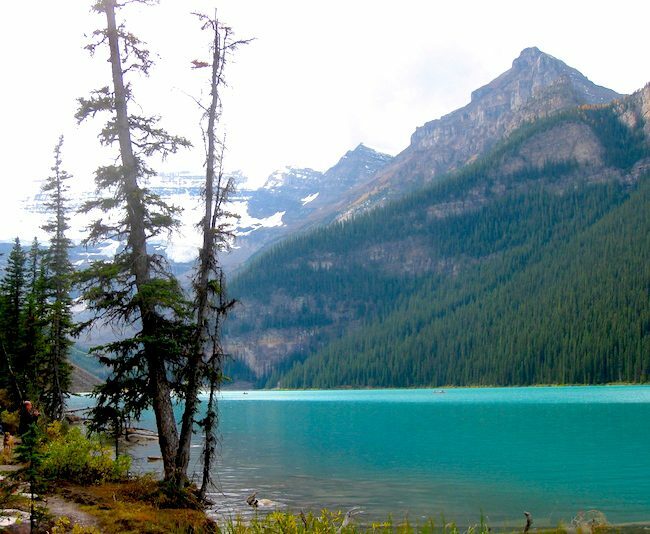 My fav stop would be Alberta as I love lakes and Lake Louise would be ideal place for me. I am sure it is a great place to click awesome photographs. Jasper will also be in my list for it is so beautifully nestled amidst snow-capped mountains. What an amazing opportunity. I have for years thought about trying a long distance train, and this one through the Canadian Rockies has always jumped out at me. Getting a chance to hop off in Jasper, Banff, and then Vancouver? What a journey. I feel like I might get stuck in Banff though, as those mountains are just so beautiful. This sounds like a wonderful train trip; I love all of the trip options! I’ve been to Banff multiple times, but never by train. Even though I’ve been several times, I’ve also never done the hike Lake Agnes Tea House. 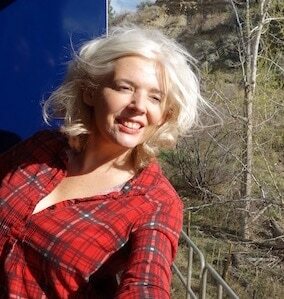 Canadian train trips are fabulous, Andi, especially the mountains for sure. There is nothing like a Canada train tour through the Rockies, Sherianne. I hope you get back there. 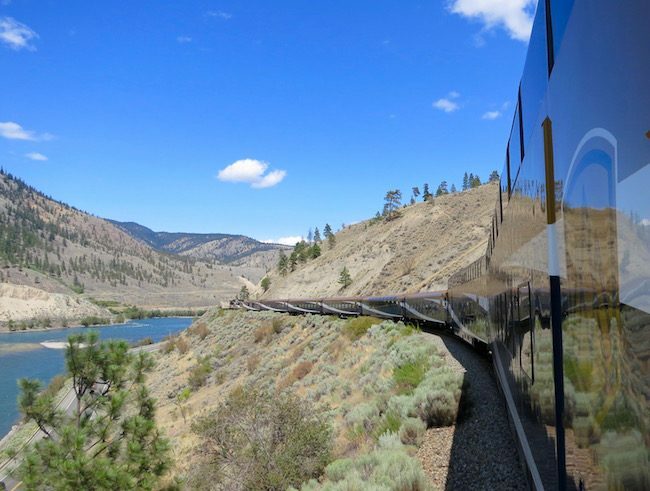 I love these Rocky Mountaineer destinations, too, Cacinda. I can’t decide which is my favourite stop. This is one train trip I have ALWAYS wanted to do. I will transverse Canada by train one day if it kills me! It is such a gorgeous region! I love Rocky Mountaineer so much and the stops at all of these amazing places! Thanks for a great read!